Like everywhere in Mallorca, especially near Llucmayor („Cabocorb Vell“) and Artà („Ses Paisses“) there have been discoveries, even close to Sóller, that verify the early existence of the Talayot-Culture on the island. 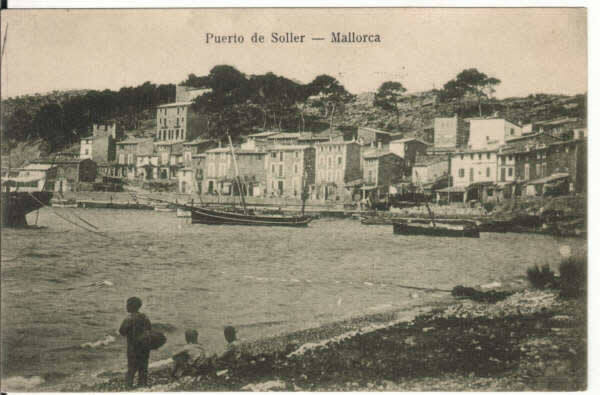 The Romans mentioned Sóller for the first time when occupying the island around 123 b.C. Mallorcans at that time earned their living with argriculture and cettle-breeding but mostly with piracy and as slingshot equiped mercenaries, for example during the 2nd Punic war. But for the Mallorcans, piracy was not only a source of income but brought great danger along with it as well, in particular for those settling down close to the sea and to the geografically isolated Sóllerics. Again and again, aggressors tried to take over cities. The islands population tried to protect themselves with a network of watchtowers called „Atalayas“, surrounding the whole island. Right above Sóller habour, and nearby, at the Balitx Mountain, you can still find two exemplars of these massive watchtowers. One battle in particular, the attack in May 1561, being one of many during the time of the moorish invasion on Mallorca is still being celebrated today. Every year they commemorate the battle for Sóller with an incredibly vociferous and enthusiastic ceremony called „Moros y Cristianos“, remembering the victory over the algerian invaders. Just after the French Revolution, there were a lot of french immigrants that startet to organise the trade with fruits to their homeland. 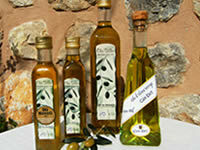 Besides oranges and lemons mainly almonds, figs and olive products were shiped to France. 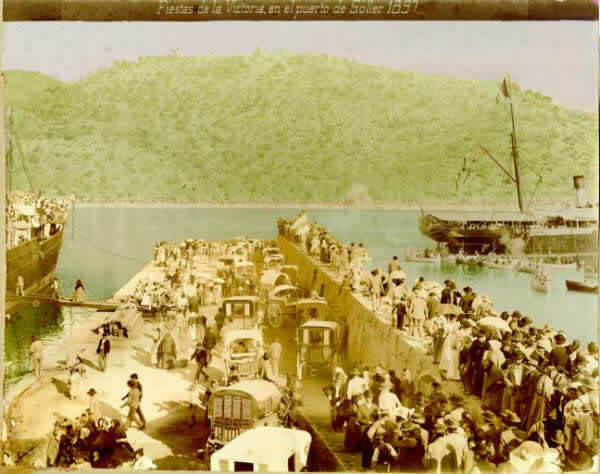 It´s hard to believe, but trading with France was easier and done more copious at that time in history than with the rest of Mallorca. It was only possible to reach Palma by ship or an exhausting and dangerous travel over the mountain pass „Coll de Sóller“. 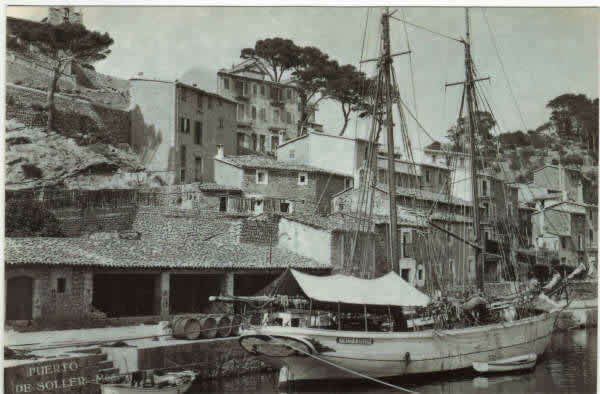 These facts lead to an increase of french culture in Sóller because inhabitants imported furniture, fashion and goods. Sóllers farmers were hit badly by a huge pest plague in the early 60´s of the 19th century, after prosperous trading with citrus fruit and investing a lot of money into argriculture. Many didn´t overcome the loss of their harvest and were economically ruined. The only thing they could do was to migrate, going back to France or Southamerica. The buisiness with southern fruits recovered slowly until 1921 when scientists discovered the healing powers of Vitamin C. Soon, many Sóllerics came back to their hometown, getting back into buisiness. You still notice the influence of those that got wealthy overseas before returning to Sóller, in some construccions of that era. In the beginning of the 20th century, Sóller started to tackle one of their major problems for economical development: Their isolation through the Tramuntana Mountains. The people of Sóller wanted a line section that would go underneath the Tramuntana, to get their bestseller „Oranges“ into the capital quicker and easier. The plannig for that project started in 1905 and in 1912 they finished it, thanks to their ambitious habitants that financed it as well. The journey with the „Orange Express“, nowadays affectionately called „Red Lightning“ and constructed by Ferrocarril Sóller, takes about an hour and leads through 13 tunnels. (further information). 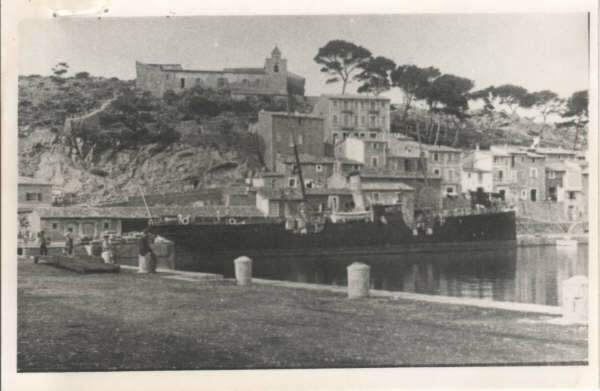 Two years later they complemented the train with a tramway (tramvia) using it mainly for fruit and vegetable transport., connecting Sóller and it´s habour. The definate opening to Palma de Mallorca resulted through the construction of the „Tunel de Sóller“ in the late 90´s. It´s 3,14 km long, going underneath the Sierra de Alfabia, which made it unnecessary to cross the „Coll de Sóller“. The usage of the tunnel is, with a near endless time of construction during 10 years, no clear financing and bribe affairs as well as 4,25€ one way, very expensive. Independedt german assessors, the ADAC, declared the tunnel to be one of the insecurest in Europe.